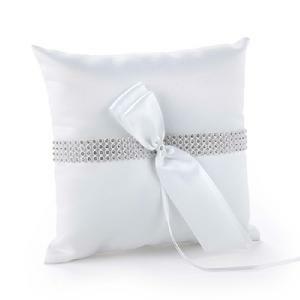 31117 - White satin pillow with white satin ribbon and faux rhinestone adornments. Small ribbons for tying rings. 8" x 8".